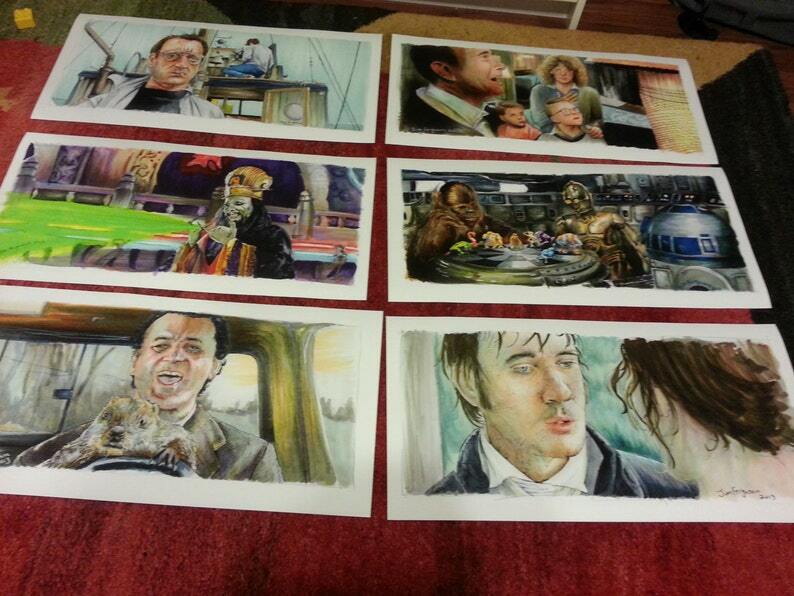 Any of my movie scene printed 12"x24". Printed on 90lbs paper. Print of original ink and Copic marker drawing. The print size is 12"x24"
and many many more. Over 70 prints to choose from. Any 3 Jim Ferguson Large Movie Print 12"x24"
Making a Scene - Jim Ferguson 2013 Movie scene art book. Making a Scene - Jim Ferguson 2012 Movie scene art book. Making a Scene - Jim Ferguson 2014 Movie scene art book. Making a Scene - Jim Ferguson 2015 Movie scene art book.